A large portion of the 50-metre-high Ghazipur dumpsite in East Delhi collapsed on September 1, leaving at least two people dead. The accident, however, has been in the making for years, as the 33-year-old dumpsite was saturated with garbage, having exceeded its capacity in 2004. Experts had warned the governing East Delhi Municipal Corporation (EDMC) about the danger, yet, over 2,000 tonnes of mixed garbage is dumped in Ghazipur every day. 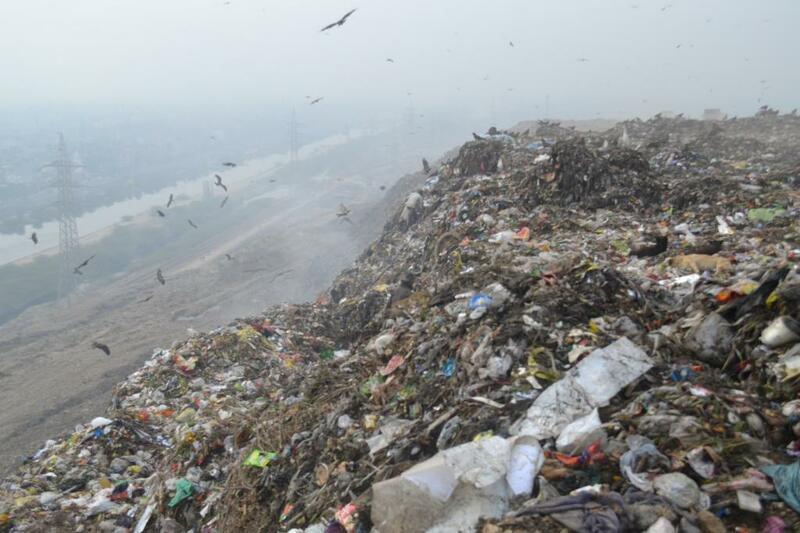 “This happened due to saturation as well as no options of alternative land to dump the waste in EDMC,” says Pradeep Khandelwal, chief engineer, EDMC. The 33-year-old landfill passed its expiration period long ago as per the Solid Waste Management Rules, 2016, which state the average span of a landfill to be 20-25 years. Official claim says that close to 1.3 million tonnes of waste has been thrown in the landfill since 1984, however a report by non-profit Centre for Science and Environment claims that close to 4.74 million tonnes of garbage has been dumped in the 27 acre site, making it a 50-metre-high garbage hill. Over-saturation of the site and steep slope that did not stand the weight of this daily dump, is likely to have caused the collapse. The heavy rains acted like a trigger that led to the slide. 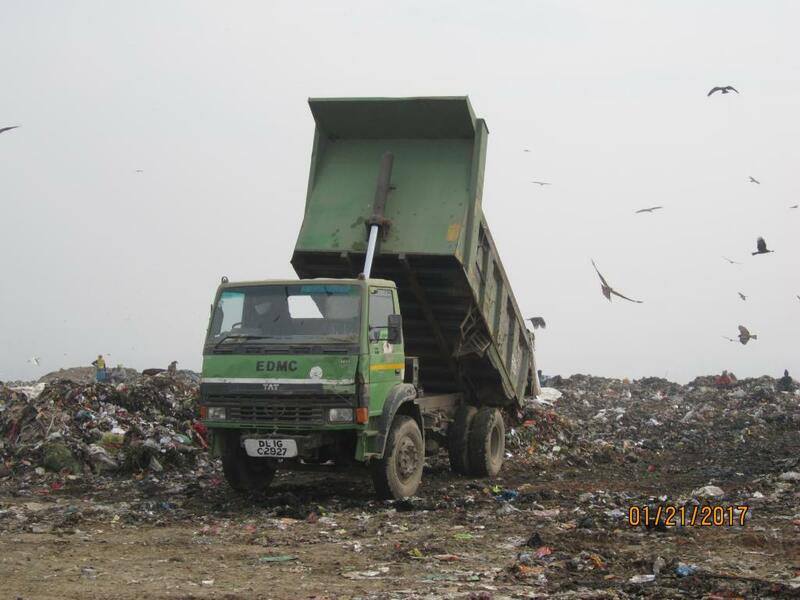 The garbage collected from residential areas, dhalaos and open sites is transported to the Ghazipur dumpsite by over 100 trucks and 30 loaders in three shifts daily. The dumpsite poses a severe threat to land, water and air in the surrounding areas. The leachate or liquid waste from the landfill is left untreated. It goes down the drain, thus posing severe threat to ground and surface water resources in the vicinity. Fires are common in the landfill, making the landfill toxic. The area also has a pilot waste-to-energy plant with about 12 megawatt capacity. However, it is operational for only 15 days in a month. A methane-capturing gas-to-electricity plant was also set up in 2015, but it did not run due to low levels of methane. EDMC claimed of signing a Memorandum of Understand (MoU) with National Highway Authority of India (NHAI) for using Ghazipur waste in constructing the Delhi Merut Highway, however it was not acted upon. The EDMC needs to reduce its dependence on land for dumping garbage and shift to decentralised processing options. We must learn from best practices from other cities that are less dependent on landfills. Allapuzha, Mysuru, Panaji, Suryapet, Bobbili have pushed for processing waste at source, instead of land disposal. Land should be the last resort for dumping residual, inert waste. The first step is to operationalise segregation at source. There is a need for an urgent push to incentivise segregation and adoption of decentralised processes. This can be done by recognising cleaner households by giving certificates, publishing their names on respective websites or reduction in property tax. The EDMC should also strengthen collection and processing systems to support segregation by training waste collectors (both informal and informal) to take only segregated waste. Accountability and transparency of the process should be increased by creating a Management Information System (MIS). This, along with an aggressive campaign to change behaviours, imposition of heavy penalties and fines for littering and non-segregation, can change the status quo. A lesson must be learnt from this incident—our cities cannot become hills of garbage. We need to move towards options that focus on turning waste into a resource.